uhmmmmm well,........that escalated quickly. Lol. Yeah I was just trying to explain why including that exploit is too dangerous. 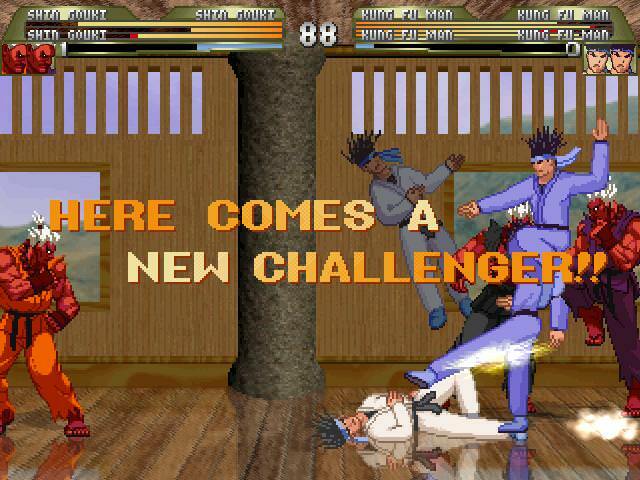 MUGEN 1.0 removed it for a reason. 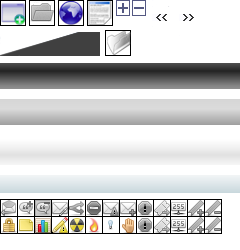 I you find what these character made to disable the conerpush inform me. Okay time to answer you questions Mike. The Unlock code system could be also be implemented. - lifebar changing color depending on health (pX.front.spr / pX.front.anim now can store additional value in the name e.g. pX.front90.spr, which is used to swap the current front spr / animation to this one if player's life matches the percentage value. There can be multiple frontX spr/anim assignments (no hard limits). There is still some work to make the lifebar DEF file flexible enough to make convoluted explode lifebars workaround obsolete. Next on the schedule are events like "First Attack", "Danger", "Reversal", "Counter", combo text, guard bar, coloring powerbars etc. It's becoming more and more troublesome to implement this stuff using current lifebar due to missing art and sounds, so I'm thinking about porting add004 lifebar (which is coded entierly with common1.cns and fightfx - there are like 2 sprites in fight.sff) to normal fight.def file, so that all new features can be showcased (something that can be used as a reference for those interested in working with ikemen GO Plus). I will contact Shiyo Kakuge if he is ok with this. edit: tagging @GaziraAgain:, since he requested some of these features. But he hasn't uploaded the files that he said he would. Force certain team modes in Arcade. This can be useful for bosses or twin opponents (e.g Juli and Juni). Also, for the team and turns stuff there should be another parameter which connects characters to each other so they appear on the same team, either Simul or Turns. This could be useful for KOF Fangames. That is posible by just editing the lua files. But as I said I'm waiting for K4thos to upload the updated ones. I do not want to implement features in them just to be latter discarded. His last activity was 4 days ago, which implies that he has been at least lurking here. 1. If 2+ fighter are chosen with the same palette, they'll all use it, unlike normal Mugen. 2. 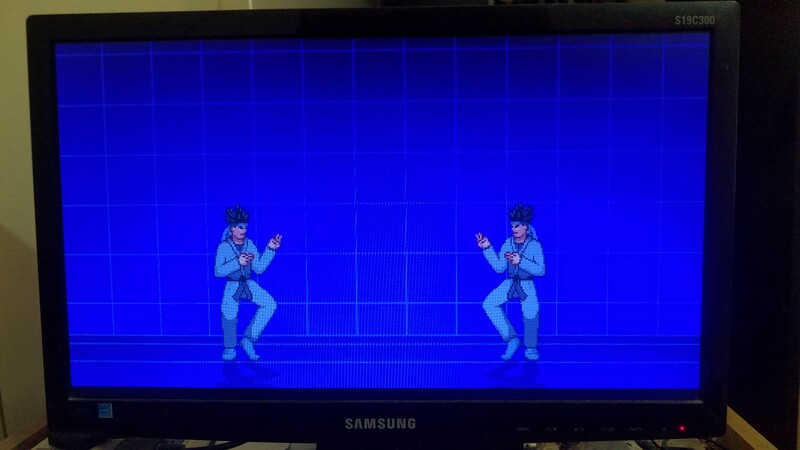 Mr. Ansatsuken's Ryu is stuck on his SF3 palette, no matter which mode or button. This might be something to do with his Palette Initialization. Quick update on my journey here. 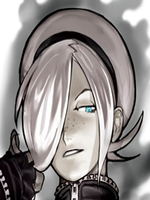 To remember my goal: port Ikemen to Android TV/Box. I will eventually create a thread about it. But is not quite at the point yet. a fan of old fight games that just learn about Mugen, and went directly to Ikemen - without ever using mugen - because is opensource. Right now, I have Dockerized the development environment. I can now cross compile windows/linux with ease. Next target is to cross compile to Mac (my environment). With that any developer will be able to produce binaries for all platforms from their own environment. I think being able to produce binaries for all platforms can boost the interest on the project. Moreover, it will make easy to put together resources from other projects (Mugen dependencies) without concerning about the license of them and to get something up and running quickly. The reason why containerizing the dev environment is that is important for the next step. Android has too many dependencies. Setting them up in proper places is annoying and require a lot of work and break easily. Adding that up to the Ikemen project dependencies just magnifies problem. Having the single development environment for all platforms can help gather contributions for a broader community. I also managed to (in a separate environment) create an Android app from golang+opengl sources. I created the APK file, installed in my phone and it worked. I hope that eventually this experience will help on porting Ikemen for Android. If is there anyone interested in this project let me know. I have done exactly that. Via my GPU settings, I set WinMUGEN to retain its aspect ratio and thus it stayed at 4:3 when running fullscreen; by default, everything stretches to fit unless you tell it otherwise. Honestly I don't mind it stretching to fit as long as it isn't blurry. Still, WinMUGEN is buggy and outdated, and those engine exploits are a result of this; it'd be silly to deliberately code an exploit into your program that'd allow for arbitrary code injection and execution since that poses a risk to everyone using it, and it'd be just as silly to realistically expect any developers to do it with theirs. Not trying to be mean here, but from a logical standpoint it just doesn't make sense to purposefully compromise the integrity of a program you're making. cross compiling mac is working too. windows/linux/mac in a single environment. I can move forward to integrate Android now. Thank you for your work and I can't wait to try it out! It felt like ikemen for a while was in a development halt but I'm glad to see there is a bunch of development on it by many now! That's great,I could never get to cross compile CGO. Hey Fisahas could you send a photo of your monitor (not screenshot) while Ikemen is running mid-battle to check how it looks the stretching. I haven't tested it in screenpacks but Ikemen GO has support for 32 bit sprites. Wait a moment I will test it right now. WHY? Why these sprites does not for on lifebars when it works on everything else? Why? Guessing it probably uses a whole different implementation than the rest of the program for displaying lifebar sprites just like lifebars fonts. how to best integrate that to Ikemen code. The key issue is licensing. Several dependencies with different licensing makes it hard to understand how do they combine. In particular Apple SDK license is very confusing. That adds up to OpenAL which has different license for different platforms. And I haven't added android yet. To avoid any contamination of Ikemen code, I think I will keep the dev environment out of the Ikemen codebase. the image has 3GB in size. I think android will add at least 1or 2GB to it. Later I can add support for Raspberry without disrupting much, and take advantage of tags to allow smaller images. For instance, if you are only interested in build Ikemen for windows, the image size can be smaller, around 1GB. and Ikemen.exe will be created. it'd be silly to deliberately code an exploit into your program that'd allow for arbitrary code injection and execution since that poses a risk to everyone using it, and it'd be just as silly to realistically expect any developers to do it with theirs. all the winmugen users running winmugen at their own risk. from that point of view, your words dont ring any bell; because as a modern emulator, Ikemen should include all the features, and users will decide whether to enable exploit feature in Ikemen or not. And if a user dares to take the risk of executing arbitrary code injection, you have got no bigger problem to worry about that. I'd like to see Ikemen above all other emulators ever released. That's why it should include all the features, and it will let the user decide to enable/disable exploit feature, the unique option no other emulators ever offered before. That's my suggestion to the honorable Ikemen developers. any word from @K4thos? It seems like so much was implemented in the non-released build he had.